How Good Is Shopping In Manchester? Apr 14 • Traveling • 423 Views • Comments Off on How Good Is Shopping In Manchester? No vacation will be complete unless you get some shopping done. Taking home something aside from memories is a good way to make a trip as memorable as possible. In Manchester, shopping is one of the best attractions. In fact, many people consider the city as the best shopping destination in the country outside of London. With a diverse collection of fashion styles and popular local and international brands that cater to everybody’s taste, shopping is indeed one of the best things to do to while away the time in Manchester. Set aside a whole day of your vacation just to go shopping. Head on to Market Street near the Piccadilly Gardens. The name itself will give you an idea of what is in store for you when you drop by this street. The former Market Stead Lane is one of the premiere shopping destinations in Manchester and is a pedestrian-friendly place. This means you will not have any problems traversing the street in search for some great finds, making for an even more fun experience. There are two prominent department stores at the opposite sides of the Metrolink tramlines. The Debenhams, a British retailer founded in 1778, operates the two stores. You can find brands such as Coast, Oasis, Phase Eight, along with their own creations. 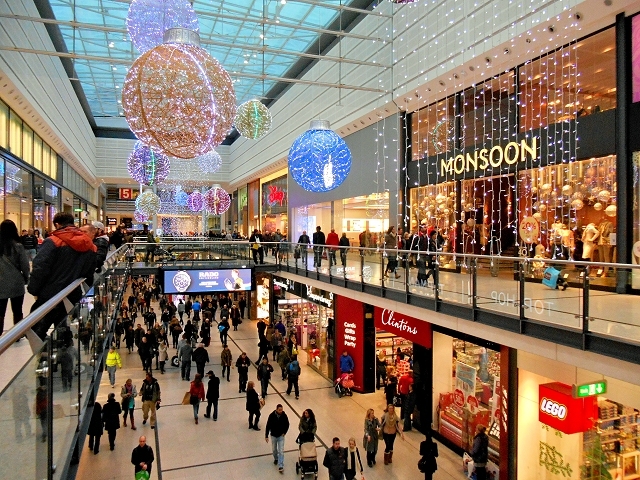 Arndale Centre along Market Street is another place to consider for your shopping needs. Built in the 1970s, the Manchester Arndale is the largest of all their stores and houses a food court that can seat 800 people on the third floor. If you have kids tagging along, they will have a heyday sifting through the aisle of the Disney store. If you are looking to buy something for your man, drop by Oi Polloi at 63 Thomas Street. This store carries brands such as APC, Barbour, Clarks Originals, Nudie Jeans, Penfield and Harringtons from Baracuta, Ralph Lauren Polo, Spring Court, Toy Watch, and countless others that best exemplify that urban edge. Do you want to have that dapper British gent look? Get yourself a three-quarter length coat from Crombie, known in the world over for the finest coats ever made. They even have luxury items for ladies, as well. Opened 200 years ago, Crombie has been the go-to store for those who want to have the look that commands respect of the highest order. And get this, Crombie only has three stores in the whole world and one happens to be right here in King Street, Manchester. The Northern Quarter, The Printworks and The Triangle provide more reasons for you to extend your vacation for a few more days. Indeed, one day may not be enough to visit all the stores in Manchester. Do you know what is better than having a vacation in Manchester and splurging in these premier shopping destinations? Living here. Start your house or apartment hunting at the Spinningfields, a new development in the city that has more than 300 apartments for those who want to live the Manchester life. Alto Apartments is situated between Chapel Street and Trinity Way, which is within the heart of the city, giving you easy access to all the shopping centers, fancy restaurants, and other places worth your time. Other options include The Wentwood in the Northern Quarter and The Vault near Picadilly. Wherever you decide to all home, you won’t regret moving to Manchester! Can You Get Bargains At Shopping Outlets?